I'm planning on featuring this in the first intermission Friday night from Madison. For those who don't care to listen, here is the info I was able to compile on former UMD Bulldogs playing professional hockey. If you notice a guy I'm missing, please drop me an e-mail. So how does this work? I get up at 2:40am today, because my wife woke me, having realized (correctly) that there were some items I had to take on the Lowell trip that were sitting in my office. My work office, that is. We had forgotten to run there and pick them up Wednesday night. Good thing we got up early. I got dressed, went to put my shoes on, and snapped the lace of my black dress shoes in half. That necessitated a quick run to Walgreens on the way to the airport. So, yeah. Why can't I get to sleep? Ugh. And I've already seen Inside the NFL tonight. Okposo follow-up. Original ranting here. The question I had originally was whether Okposo bolted or the Islanders "persuaded" him to sign somehow. That question has been answered, and it takes some of the sting off what Okposo did. Some. Word from two extremely reliable sources is that Okposo was given a deadline to sign a contract with the Islanders. Not signing would have meant Okposo was running the risk of not being offered a deal this summer. This has surely made a few laps around message boards, but I'm a little bit more confident in it now than I was when I read it on a message board. I called Garth Snow's move "bush-league" in my original post on the matter. I feel very strongly now that my use of "bush-league" was an insult to other "bush-league" stunts that have been pulled over time. One can only hope that the NHL and the NCAA can come to some sort of accord over this ridiculous behavior. There's a really good reason why this isn't allowed in any other sport, and it's time for hockey to close the loophole. Take all the kids you want in the summer. But once they've started a season, leave them alone. More ref stuff. Original ranting/reporting here. And here. You know what happened there. I have two more updates, both courtesy of UMD media colleague Kevin Pates. First, it appears that Denver/Wisconsin referee Randy Schmidt has been bumped from at least one weekend assignment. The league confirmed that Schmidt has been taken off the series he was scheduled to work this weekend (he wasn't scheduled for any games last weekend). No further comment from the WCHA, so this is going to be week-to-week speculation until either we find out he has been suspended for a longer period or fired, or he turns up officiating a WCHA series. Also, WCHA referee Todd Anderson got yelled at after he grabbed UMD's Michael Gergen by the jersey Friday night at the DECC. Anderson was run into by Gergen during a UMD rush (unintentionally). The two exchanged words, and then Anderson was seen by 5,000-plus people to be grabbing Gergen by the jersey to make sure the conversation continued. Even if Gergen told Anderson to "get the (bleep) out of the way, (bleep)", Anderson was out of line. I don't know exactly what happened, though Gergen told both Pates and me that he didn't say any such thing. Frankly, I don't care what he said. He didn't run into Anderson on purpose. You could argue that Anderson shouldn't have been where he was on the ice (I don't know the protocol on this, but it just seemed like an odd place for a ref to hang out), and Gergen was trying to make an offensive play. That said, I thought Anderson called a pretty darned good weekend in that UMD-Minnesota series. It's the second straight time I've seen him get run over by a UMD player while trying to work at the DECC. Perhaps he should request that he only see the Bulldogs on Olympic ice. Dude's tough as nails, because he bounced up both times and kept on going. Good for him. Hopefully, that's not the last time you'll put on that uniform. Unfortunately, the realities of the Packers' depth and free agency tell me it will be. Stinks. I don't have much to say, really. That sucked. The Packers lost, and I am left almost completely speechless, except for the words "screen pass" and a few cuss words after them. I'm going to be a big boy. I'm not going to blame the coaches for not having a sound plan. They're the ones who got this team where it got and helped turn this thing around so quickly. Sure, hindsight 20/20, but they saw things on film they thought they could exploit a certain way. It didn't work out. Player execution wasn't flawless, and the Giants were very good on both sides of the ball. When the chips were down, Brett was too cold, the kicking game was inexplicably bad (you could never convince me that Crosby came from Colorado and Ryan from the CFL with how bad the kickoffs and punts were Sunday), and they faced a team that executed better in all phases. Congratulations, New York. Now win next Sunday. Please. I know you won't, but please do. If you're sick of the Packers, it will probably help you to know that they're done. About the only thing worth posting about is if the unexpected happens and Brett hangs it up. On a side note, I am in Lowell, Massachusetts, for hockey this weekend. Picked up Will Leitch's new book, "God Save The Fan". Read about 100 pages on the flight in to Boston. I'm going to try to tackle the rest of it while I'm out here. It's a fascinating book, and I highly recommend it - well, unless it goes down the tubes in the remaining 200 pages. Dammit. More when I can think rationally. Yes, I was tempted to pick the Giants last week. Had I been picking with point spreads and not straight-up, I probably would have pulled the trigger. I mean no disrespect to the Giants, but it sure looked like the Cowboys spent too much time enjoying their 13-3 season and not enough time trying to get better and get ready for the divisional round. I'm fine with that. I don't like the Cowboys, and I don't mind the Packers getting to play at home. In the AFC, more arguments were made against resting players for regular-season games when you already have a bye week. Don't worry. It won't stop teams from doing it in the future. It's simply our job to keep that stuff in mind when we're picking games. Feel free to remind me of this in the future. The Giants deserve to be here, but let's deal with some facts (and opinions that can be taken as fact), here. The Giants were outgained by ~100 yards in the game against Dallas. In the first round, the Giants beat a mediocre Tampa Bay team that basically threw their last two regular-season games. New York was sharper because they had just gone toe-to-toe with New England. Green Bay played better (especially the last 56 minutes of the game) last week against Seattle than the Giants are probably capable of playing. It doesn't mean the Giants are toast in this game, because there's no guarantee the Packers will play that well again. But it's not a good sign, especially if you're thinking of taking the points. Eli Manning has talked about not liking the cold weather. Forecast gametime temperature: -2. Fahrenheit. The Giants secondary is decimated. The Packers, as long as there isn't a freak blizzard, will not be afraid to line up with five wideouts and exploit this. Green Bay's defense has more balance than Dallas or Tampa Bay. The big one is this: The Giants don't win that game without a slew of mistakes by Dallas. Yes, you have to give the Giants credit for competing and staying in the game long enough for Dallas to blow it, but can we count on Green Bay doing the same thing? The Packers already learned their lesson, when they coughed up a shot at home field in that horrible loss at Chicago. They won't screw this up again. Green Bay is more talented, and they're at home. Take the Packers. No way I figured Norv Turner's staff would out-coach Tony Dungy's last week. The Chargers adjusted and did the right things in the second half to at least keep Peyton Manning's offense from getting the ball into the end zone. And inexplicably, the Colts never really tried to establish the run in the second half. This worries me more than anything else entering this week. While Indianapolis wasn't smart enough to really even try to expose an apparent hole in San Diego's defense (presumably because it didn't fit their game plan), we all know New England won't make the same mistake. If the Chargers' run defense can be exposed, the Patriots will expose it. New England's coaches are prepared for everything. They'll adjust on the fly better than anyone. And Norv Turner is on the other sideline. Really, can you pick the Chargers to win this game? Why? What has Norv Turner done to make you think he can out-coach Bill Belichick in a close game? And what have the Chargers done to make you think they can win comfortably? If it's Turner versus Belichick in the fourth quarter of a nail-biter, Belichick wins. If the Chargers win by double-digits and aren't seriously threatened in the fourth quarter, I'd be beyond stunned. New England has Tom Brady. They have great players all over the field on offense. The Chargers aren't good enough to stop them, especially if Billy Volek's presence limits San Diego offensively. Even with a healthy and effective Philip Rivers, I probably couldn't pull the trigger on this one. The odds of San Diego covering the 14-point spread are very high. The odds of them winning outright are virtually nil. But I guess that's why they play the games. Good luck, guys. you'll need it. Disallowed goal revisited. I have received many a response via e-mail and otherwise to my post about the WCHA and their Friday controversy in Denver. I want to thank all those with whom I have corresponded, whether we agree about what has happened or not. I have a couple of things I'd like to add to what I said before. First off, someone brought up a valid point. While referee Randy Schmidt is ultimately to blame for much of what went wrong, there were two other officials working on the ice with him, along with a replay official. They have to share some of the blame, too, because they had a responsibility to communicate what they saw with Schmidt and didn't do that. Secondly, WCHA commissioner Bruce McLeod has broken his "silence" on this topic, speaking to - among others - Todd Milewski of The Capital Times in Madison. He said he looked into the possibility that there was a clock malfunction, and he said that Denver senior associate athletic director Ron Grahame did find a glitch in the TV system that adds 0.0 between 1.0 and 0.9. That, however, wasn't the issue to the commissioner. "The issue was simply in the instructions that Randy (Schmidt, the referee) gave to the operator of the replay equipment: run it down to zero and stop it," McLeod said. "And, to me, that was the wrong instruction. He should have gone further back. And he would have seen because what he saw definitely was that the puck was not in the net, but what he didn't see was the puck had crossed the line and come out. It was a human error." I trust the commissioner when he says it was a human error. I also recognize that it was more than just one guy who messed up, though Schmidt bears the ultimate responsibility (and reading between the lines, it sounds like he is going to be pretty heavily disciplined or fired). The WCHA has a bit of work to do to restore their reputation, and I'm sure that the officials will reminded of all the protocol for review situations. None of this will get Wisconsin their point back, but there's no fair way to do that. McLeod is right. Giving Wisconsin a point will cause St. Cloud State to look at what happened to them, as they were on the wrong side of Schmidt's other unfortunate mistake this season. Schmidt has seen his share of controversy already this season, and the latest one might not be over yet. I've been told by a reliable source that McLeod is planning on being in Duluth for at least one game of the UMD-Minnesota series this weekend. If I get a chance to sit down with him, I'll let you know about what is said. How to win a road NFL game this weekend. For the Chargers and Giants, I have one tip that is more important than anything else. Take the tape of your Week Two game (San Diego and the Giants were both bludgeoned by their title game opponents in Week Two) and set it on fire. Make it a public ceremony. Don't watch it. And whatever you do, don't take anything that happened and act like you can learn from it for this week. Both San Diego and New York are better than they were in Week Two, and that's a good start. But it's also worth noting that Green Bay and New England aren't the same, either. The Patriots aren't going to carbon-copy their Week Two game plan, because that's just not how Bill Belichick operates. They'll come up with some different wrinkles on each side of the ball, so if the Chargers are insistent on learning lessons from that 38-14 defeat, they're probably wasting their time. Outside of playing pure fundamental football (which they didn't play in the earlier meeting), there's nothing San Diego can learn to do. The Giants lost 35-13 to Green Bay in Week Two. Back then, the Packers didn't even muster the threat of a running game, and Brett Favre was not good throwing the ball deep. The pass defense was shaky because of poor play at safety, and the Pack didn't look like a Super Bowl contender. If New York shows up prepared to play the same Green Bay team they played in September, they'll get worked by as many (if not more) points. We live in an era where the term "disrespect" is thrown about like candy at a Fourth of July parade. Teams that win championships talk about being "disrespected" along the way, as if it matters if some talking head decides that their opponent is more likely to win the game. Eli Manning did this Sunday. His team has won a playoff game on the road, upsetting the conference's top seed - and a team that had already beaten Manning's New York Giants twice. His first reaction? "Well, no one gave us a shot." Who cares? Just play the game, a'ight? Well, we saw another form of disrespect over the weekend, though many of you didn't recognize it. After all, it came out of the world of college hockey. College hockey is great. It's a wonderful game played by bright, talented athletes and followed by incredibly passionate and loyal fans. Among the six leagues that make up Division I, there is probably none better than the WCHA for top-to-bottom competition. A good example of this happened on Friday, when Wisconsin, stuck much closer to the bottom than the top of the league standings, was in Denver. The Pioneers of the University of Denver are one of the top teams in the country, and they are running second in the WCHA behind rival Colorado College. For a time, it looked like DU would run the Badgers off the rink, leading 3-0 late in the second period. Wisconsin battled back with two straight goals, and then they pulled goaltender Shane Connelly in the final minute for an extra attacker. Two icings by Denver led to clock issues, as officials had to review to see where the clock should have stopped so the time could be corrected. They settled on a few seconds left in the game after one of those icings. With a faceoff to the left of Denver goalie Peter Mannino, Wisconsin still had a shot. They won the faceoff, and Wisconsin forward Matt Ford ripped a shot past Mannino to presumably tie the game. Referee Randy Schmidt and one of his assistants both signaled for a good goal, the red light was on above the goal judge, indicating a good goal, and six Wisconsin players had their sticks raised to signal that they thought there was a goal. All of this happened before the green light behind the goal came on. That green light is triggered by a stoppage in the clock. A screenshot from FSN Rocky Mountain showed .3 seconds left while the officials were signaling for a good goal. TV clocks are usually fishy, but word out of Denver is that the TV clock there is tied to the "official clock". With technology as it is, I'm guessing most newer buildings (and maybe some older ones) are capable of a similar setup. So can we agree that this looks like a good goal? So how does this happen, then? "Faceoff on the right side between Wisconsin's Kyle Turris and Denver's Tyler Bozak, old foes from the BCHL. The puck stays in their skates until Matthew Ford digs it out and fires a wrist shot between Peter Mannino's pads. The Badgers go crazy. The Pioneers point to the clock, which shows 0.0. The red light is on. If things are set up correctly, the red light is not supposed to be able to go on if the green light is already on for the end of a period. There's no indication whether the goal lights are working properly. Schmidt heads into the scorer's booth via the penalty box to look at the video replay. If it was done properly, he should have been able to see an overhead view of the goal with a view of the clock on the picture. He returns to the ice and waves the goal off. So here's where it gets interesting. People start text messaging UW coaches and staff members, saying that the puck was in the goal before time ran out on the FSN Rocky Mountain broadcast. Here's the thing: The scoreboard clock (the true time) and what's shown on the TV broadcast are almost never in sync. It appears in retrospect, however, that the Magness clock and the TV clock are pretty close, if not right in sync, so the mystery continues. The scoreboard clock should be what Schmidt saw in the scorer's booth." Schmidt was already under the microscope once this season, as he messed up a call in the Denver-St. Cloud State series before Christmas. That mistake required the league issue a statement after the fact to acknowledge the error. In talking to a few people over the weekend who have covered the league longer than my six or so years, there is no recollection of such a statement ever being issued by the WCHA. "The Western Collegiate Hockey Association has acknowledged that an error occurred on a goal that was disallowed in Friday (Jan. 11) night's conference game between host University of Denver and visiting University of Wisconsin. The Wisconsin goal in question occurred as time expired, but according to the video replay system available to the referee, the puck was still in the crease when the clock in the available replay showed 0:00. But the game tape showed that the puck was in the net and back out of the net prior to 0:00. The league regrets the error, and acknowledges that the goal should have counted." So, how does something like this happen? We have a video replay system in the WCHA that's been used hundreds of times, cost the league many dollars, and has been worked on tirelessly by, among others, the league's supervisor of officials, Greg Shepherd. Arena clocks are rigged to keep goal lights from coming on once time is truly expired. Clocks are also rigged so TV outlets can get a feed of the "official game clock" for use on their telecasts. "Further review of what happened to the Badgers on Friday showed Schmidt's mistake this time was inexcusable. The overhead camera trained on the goal that the WCHA uses in its review procedure showed Matthew Ford's shot crossed the goal line with around one second left on the clock, then rattled around the back of the net and came out. The video shows Schmidt signaling for a goal with time still on the clock. Time ran out before the scoreboard operator stopped the clock, and Schmidt went to the replay. No one who saw that footage on Saturday was denying that the goal should have counted, but it's unclear how much of the replay Schmidt saw in deciding to wave off the goal. One source said the referee looked at only a still picture of the crease area when the clock reached zero. That would have showed the puck back out of the goal, but it also should have showed Schmidt himself pointing at the goal. UW coach Mike Eaves indicated after Saturday's game that Schmidt had trouble communicating with the video replay operator, who provides the footage that the referee sees." Hilarious, in a sad way. He (Schmidt) looked only at the frame from the video once the clocked reached 0.0 seconds, and apparently failed to figure out that the puck had to have gone in the net before that moment, since the red light went on. Possibly more egregious by the WCHA? Schmidt was allowed to work Saturday's game, as if nothing had ever happened. Denver coach George Gwozdecky joined Wisconsin's Mike Eaves in making it clear that this shouldn't have been allowed to occur. But the league ignored the wishes of two highly-respected and successful coaches, instead sticking to their guns and leaving Schmidt on duty. But don't worry. Schmidt had a makeup call in him Saturday. "The Pioneers seemingly paid for the error Saturday, because Wisconsin's second goal stood up despite it being obvious Podge Turnbull's tap-in goal off a loose puck came after a whistle was blown for Mannino smothering the puck. DU coach George Gwozdecky heard the whistle, but he said his team didn't deserve to win, anyway." I didn't see the play in question on Saturday. I saw the end of Friday's game. Frankly, I'm embarrassed for the WCHA. This is a fine league with great athletes, coaches, administrators, and fans. There are even a few (or more) good broadcasters and other media types running around. But the league itself, run by experienced, hard-working, level-headed people, did itself a great disservice in a few ways this weekend. 1. The call itself was so comically botched that we don't even know where to begin. Sure, the rules stipulate that a referee's decision is final, but there are too many checks and balances in place for this to have happened. I mean, didn't Schmidt think it was funny that he was signaling "goal" before he could hear the horn, which is tied to the game clock and does not go off manually upon time expiring? Wouldn't it be strange to see that the goal light was allowed to turn on? Was it the one time out of a hundred that the goal light went off without the puck crossing the goal line? The report that Schmidt looked at only one frame of video is a colossal failure in procedure. If it's not, the procedure should immediately be altered, because it's just not right. 2. How is there no system in place for Wisconsin to appeal? Even the NBA, decried and ridiculed for years as the quality of play goes in the dumper, acknowledges the occasional mistake by officials. They also understand that mistakes can occasionally be so awful and game-altering that replays of games can be necessitated. 3. Why on Earth was Schmidt allowed to work Saturday's game? This isn't about trying to get Schmidt, by all accounts (including my only opportunity to meet him, which happened a couple years ago) a good man and a hard-working official, fired. It's not my call, and I'm not about to pass that kind of judgment on a guy whose work I might see three or four times a year. Anyway, the larger point here is this: Schmidt was involved in a horribly botched call that directly affected the outcome of an important game. Both head coaches seemed to express the thought that he shouldn't work. Human nature dictates that you're going to feel bad about something like that, unless you're a heartless and arrogant moron. So Schmidt should have gotten the night off to clear his head. Either that, or simply switch him with Brett Klosowski, who was working the Anchorage-Colorado College series in Colorado Springs. Something had to be done, and "standing still" was not the right move. Not for any of the individuals involved in Friday's incident, and not for the integrity and image of a wonderful league. As for what should happen as we move forward, I have a couple ideas. 1. Shepherd should reiterate the protocol for reviews immediately. As far as I know, the replay system has worked pretty well in the WCHA, so there's no need to panic. But we need to keep working to make sure that the technology is properly being used to get calls right. 2. Schmidt needs to be kept clear of Wisconsin or Denver games for a little while. Doesn't sound like either coach was too pleased once we all figured out what happened on Friday. Yes, we're all professionals here, but does Randy Schmidt really need to be subjected to a weekend at the Kohl Center in front of that student section? 3. I'll say it again: Officials need to wear microphones. Fans, media, players, and coaches all deserve a thorough explanation of controversial rulings. I don't need to hear every penalty call and all that, but I think everyone's understanding of the game would be improved if the officials could tell us what was going on and why they made the decision they made on that really close play. Rant over. Let's play hockey. "I am trying to enjoy [the hot streak the Packers are on] because this could be my last game in Green Bay. For the first time in three years, I haven't thought this could be my last game. I would like to continue longer." It's better than being completely indecisive on the topic, I suppose. But the "this could be my last game in Green Bay" part confuses me, especially when you put it in the same paragraph as "I would like to continue longer". Brett, if you'd like to keep playing, no one in Green Bay is going to stop you from doing it. Now go finish getting ready for the playoff game Saturday. It's time to get back to the NFC Championship Game. Divisional Playoff Weekend. This brings us to football picks for this weekend. Since the Packer game is first on the schedule, we'll start there. Seattle at Green Bay. The Packers are a rather solid favorite in this game, but should they be such an overwhelming pick? Seattle is going to pose problems for the Packers' offensive line, which doesn't allow sacks in large part because the offense is designed to prevent them with quick, rhythmic passing. However, the Seahawks are solid enough in the secondary that their pass rush, led by Patrick Kerney, will have an impact on this game. In a "normal" Green Bay season (normal as defined by "since Mike Holmgren got there"), the Packers would simply counter this with screen passes meant to attack Seattle's rather average linebackers (exception: Julian Peterson) and keep the defensive line from overpursuing. This is not a normal Packer team. They're not particularly good at screen passes, and it probably doesn't bode well for that part of this game. To keep the defensive line from being all over Favre, Ryan Grant needs to have a big day running the ball. I expect to see a lot of Favre in the shotgun, and I wouldn't be shocked to see a few draw plays run out of the shotgun spread, all in the name of keeping the defense honest. In the end, Seattle's poor running game will hurt them, and Green Bay will do enough to Matt Hasselbeck to keep Seattle at bay. Jacksonville at New England. ESPN.com's Jeremy Green thinks Jacksonville is going to win. Listen, the Jaguars have that cute two-headed running game with Fred Taylor and Maurice Jones-Drew. They have a quarterback who doesn't screw up much. They don't shoot themselves in the foot with dumb penalties. The weather - if it's crappy - won't bother them, as they've already won twice in Pittsburgh, including a snow game and a night game. But who's going to cover Randy Moss? Wes Welker? Donte Stallworth? Ben Watson? Who's going to deal with Kevin Faulk out of the backfield? Or Laurence Maroney? If the Jaguars can't get heat with their front four, who's going to hit Tom Brady? They're going to be too busy using linebackers and extra defensive backs to cover up the holes in their coverage. Too many flaws in the Jaguars' game. IF they can run the ball consistently, take care of the ball better than they did in Pittsburgh last week, and get a few breaks, they have a shot. But it's too much to ask. San Diego at Indianapolis: Toughest call of the weekend. The Chargers have a shot, but much of their shot depends on the health of TE Antonio Gates, who was injured in the Wild Card win over Tennessee. If Gates can't go, the Chargers have to lean too much on the wide receivers and Philip Rivers for my taste. Rivers is much better when he has his big target in Gates. Otherwise, the primary receivers (Vincent Jackson and Chris Chambers) are too inconsistent. They're going to have to be great Sunday, because you know the Colts will do all they can to take away LaDainian Tomlinson. Indianapolis figures to have Marvin Harrison back, and that should help Peyton Manning a great deal, considering he will feel the heat all afternoon from the Chargers defense. I think the Chargers have a shot. I'd like them even more if they had Antonio Gates, or if they didn't have to travel all the way across the country to play this game (their record this year jumping multiple time zones isn't great). But Tomlinson is eager to rebound off a rough game against Tennessee, and Rivers was sure comfortable throwing that deep ball last week. That dimension may be enough to counter the (potential) loss of Gates. And if Gates plays, I'm much more confident about this. N.Y. Giants at Dallas. Maybe the Giants have a real shot here, but this is still Eli Manning. And he's on the road. I just don't trust him much. No Jessica Simpson at this game probably means Tony Romo will play well, though she was nowhere to be found in Week 17, and Romo was pure garbage in that game. Dallas rebounds from that Washington loss by beating the Giants at home, and they prepare to lose to Green Bay next Sunday. I called that now, probably because I'm stupid. What did we miss? The two-week hiatus (was planned to be one, but you know how that goes) allowed us to miss a bunch of stuff here. 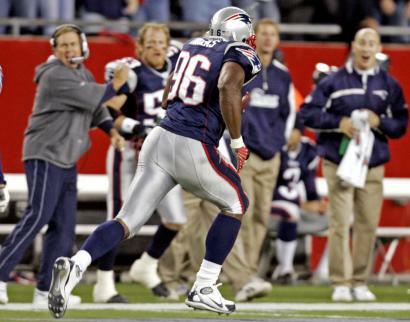 The NFL playoffs started after New England finished a 16-0 regular season. The NHL played a hockey game outside, allowing cynical media members to get a bunch more ammunition to make fun of the league. The Timberwolves lost a bunch of games. Then they won one. Oh, and a national television commentator suggested that a bunch of golfers lynch Tiger Woods. We'll start there. Context matters. I don't know much about Kelly Tilghman. She seems like a rather nice-looking young lady, and she did quickly apologize for her stupid statement. However, weren't we down this road in April? And didn't everyone scream that Don Imus needed to get fired? Think about that. In one corner, you have a guy who is paid to try to be funny. He was also being paid to push the envelope and be controversial. In the other, you have a woman who is paid to do play-by-play, and is probably not being asked to push anything or be even remotely controversial. So why didn't anyone cry that Tilghman should be fired? Please note: I am not advocating that she lose her job. I thought it was a travesty when Imus got fired, and I would have thought the same had The Golf Channel dropped the hammer on Tilghman. But why is she skating, while Imus was raked over the coals? NFL playoff quick hits. The Packers don't have a layup on Saturday, but should win. Jacksonville's physicality will only matter if David Garrard is sharper than he was in Pittsburgh last week. Oh, and they're playing the Patriots, so not much will matter if the Patriots are as ready to play as I expect them to be. This isn't the week to look for an upset of that juggernaut. The Colts need a healthy Marvin Harrison to win, but the Chargers may need Antonio Gates more. Too bad Jessica Simpson won't be on hand in Dallas Sunday, as her squeeze is likely to fare better against that beaten-up Giants secondary than Jeff Garcia did. That's fine. Maybe we can arrange for her appearance in some sort of skimpy, Dukes of Hazzard-esque item at the NFC Championship Game.